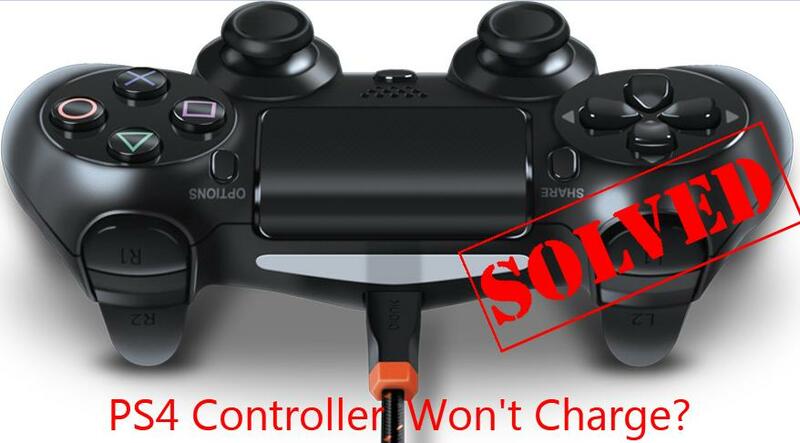 Generally, your not charging PS4 controller is caused by the malfunctioned controller itself. So, as the initial solution we recommend you reset your PS4 controller. Find the reset button on your controller: it’s a very small hole on the back of your controller and under the L2 button. Put a toothpick or a similar object into the reset hole; press the button; hold it down for a few secondS and then release. Your controller should then restart. Once it get started, try to charge it again to see if successfully. 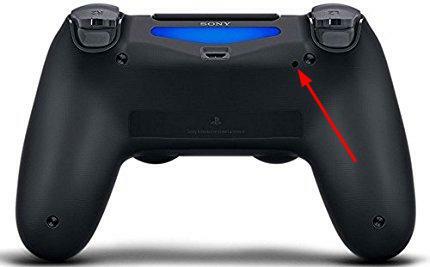 Please charge your PS4 controller upside down when you encounter its not charging problem. Sounds wired? It really helps a lot PS4 players get their controller charge again. You can give it a shot to see if it works. Just put your PS4 controller upside down and then charge it. Sometimes, your PS4 not charging problem could be due to the charging USB cable. Follow the steps below to check if there’s any problem with your USB cable. Charge your another controller if you have one with the same charging USB cable. If the another controller does charge, then the problem is on your cable’s side. Please skip to the next following solution. If the another controller also not charge, it seems there’s really something wrong with your USB cable. Please go on with the next step. Try to use the official charging USB cable coming with your PS4 console to charge your controller. Note: Some USB cable have the same connectors though, they can have different specs. That’s why your PS4 controller cannot charge if you use some third-party USB cable. So please use an official charging USB cable to charge your controller. If you lost the USB cable coming with your PS4, you can buy an official one from Sony. Like the charging cable, a bad charging port on your PS4 controller could also prevent your controller from charging. Charge your another controller if you have one with the same charging USB cable. If the another controller does charge, there’s probably some problem with the charging port with your not charging controller. You then need to replace the charging port with a new one. If you’re not sure how to do it, you can ask help from the official PlayStation website. If you’ve tried all the solutions above and your controller still cannot charge, not to be frustrated. Be sure to try this last but helpful solution. If you’ve use your PS4 controller for a long period of time, the batteries of your controller might lost its charges and die due to the recharging again and again. So try to replace with new PS4 batteries and see if works. Note: Please feel free to replace the batteries of your controller as it won’t affect the warranty of your PS4.